As well as the wild dogs roaming the exclusion zone butterflies are flitting around. They seem larger than normal, maybe it is the lack of predators or maybe it is just my imagination. 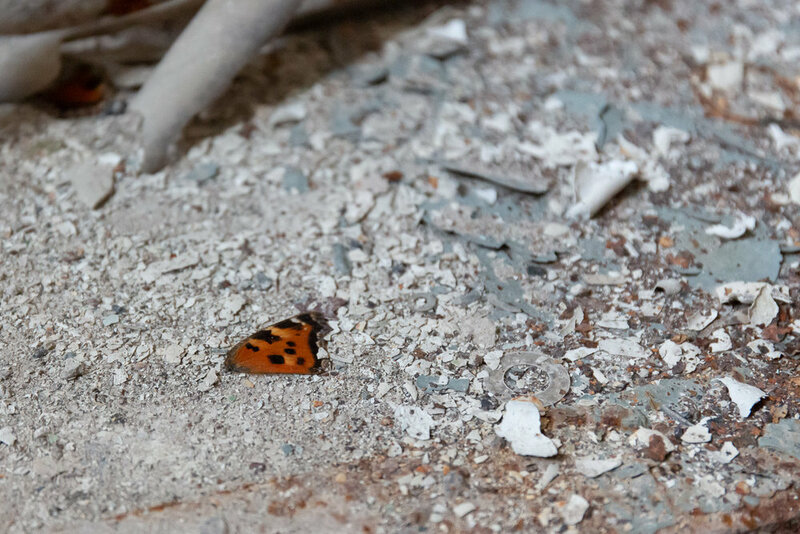 Whatever the reason beautiful yellow Brimstone and orange and black Tortoiseshell butterflies are everywhere in the spring sunshine, dancing together in the centre of Pripyat City. 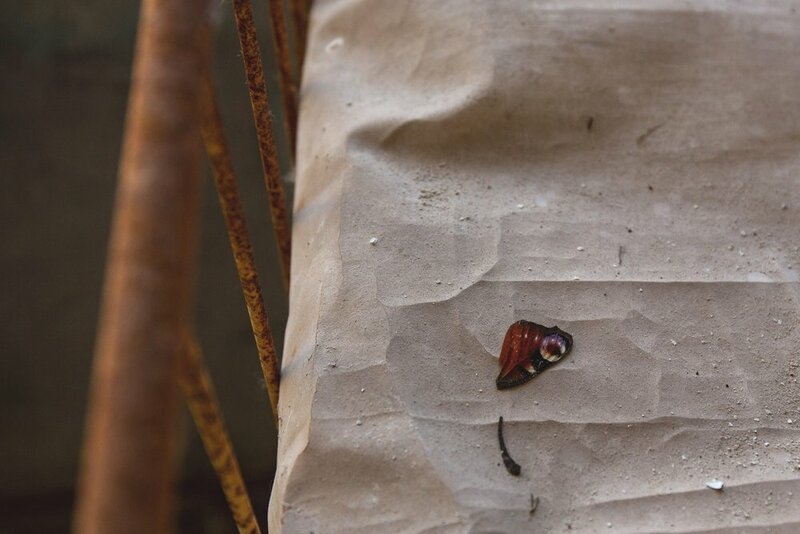 In the buildings the delicate wings of deceased butterflies merge with the debris of this dangerous landscape. A real example of beauty dancing amid disaster.